Austria has been at the forefront of the open access (OA) movement in Europe, and its institutions have taken significant steps towards making the country’s research output accessible to all. The drive for change has been led by major funding bodies, such as the Austrian Science Fund (FWF) and members and staff of the Austrian Academic Library Consortium (KEMÖ), which brings together the country’s universities and research institutions and negotiates licences on behalf of its members. Within this context, in 2015 the Open Access Network Austria published an influential strategy paper which recommended that ‘by 2025, a large part of all scholarly publication activity in Austria should be Open Access’.1 An even more recent development, the centrally funded Austrian Transition to Open Access (AT2OA) project,2 running from 2017 to 2020, examines wide-ranging aspects of OA publishing and provides support for new business models and alternative publishing initiatives. This project will also assess the contracts already in place. With a student body of around 95,000, the University of Vienna is by far the largest higher education institution in Austria, and its researchers are active across all research fields, authoring approximately 8,000 publications per year.13 The University participates in all national OA agreements14 and has negotiated additional contracts directly with publishers. The workflows have been implemented by the Library’s Open Access Office in close collaboration with the University’s department of consortia management and the consortium head office. Table 1 below summarizes the agreements in place at the University of Vienna (referred to there as UNIVIE).15 Each agreement is designed in such a way that authors can choose to publish OA at no charge to themselves. The workflows are then briefly described for each agreement to give a high-level overview, without necessarily detailing every single step. Does the contract cover OA publishing in all journals? ‘Read and publish’ agreements share some common features, for example a single fee is negotiated with a publisher to access subscription journals (usually the entire journal portfolio), as well as publishing certain types of articles OA without additional costs to authors. Workflows and conditions can vary widely. Each year the University of Vienna receives a set number of OA vouchers within the framework of a consortium agreement. The vouchers can be used by corresponding authors affiliated with the University to publish OA in the Royal Society of Chemistry’s (RSC’s) hybrid journals. Workflow: The RSC regularly e-mails the Open Access Office with a list of eligible articles accepted for publication. The Open Access Office first conducts an eligibility check of the corresponding author, and then contacts the author by e-mail to ask whether they are interested in publishing their article OA. An RSC voucher code is issued by the Open Access Office to authors, which they need to enter on the RSC’s website. The allocation of vouchers happens on a first-come, first-served basis. The RSC recently offered to automate the workflow, which would have simplified the process and removed certain steps, such as the eligibility check currently performed by the Open Access Office. With a limited number of vouchers available, however, the Open Access Office decided against an automated workflow for the time being. The method suggested by the RSC to determine eligibility (e-mail address as sole criterion) was deemed insufficient and unreliable for that purpose. There is a national consortium agreement in place (2017–2019), offering a set number of OA vouchers that can be used by corresponding authors affiliated with any institution in Austria to publish original research articles. Workflow: Authors need to check their institution’s status and indicate their eligibility at the submission stage. If their article is accepted, they need to complete a Creative Commons licence. There is no input from the University or the consortium in the process. Emerald keeps a record of the number of vouchers used and reports to the consortium head office on a quarterly basis. The consortium is entitled to a set number of OA articles in Springer’s open choice journals, which are allocated on a first-come, first-served basis to corresponding authors at participating institutions. The default is to publish eligible articles OA; however, authors can opt out and put their article behind a paywall. Original Paper, Review Paper, Brief Communication, and Continuing Education papers all qualify for OA publication under this scheme. Workflow: Eligible authors are identified by Springer through one or more of the following methods: institution’s IP range, e-mail domain or affiliation. Those recognized as eligible are informed of the University’s OA agreement and terms by Springer via an online publication system, where they can agree to the OA terms or opt out if they wish to do so. The online publication system explicitly states that there will be no charge for OA publication. Afterwards, OA articles appear on the University’s dashboard, where the Open Access Office conducts a final eligibility check and can approve or reject articles based on eligibility, or forward them to other members or funders, such as the FWF, for review. Corresponding authors affiliated with the University can publish accepted research and review papers OA as part of a consortium agreement at no additional cost to authors. Workflow: Authors identified as eligible are informed of the University’s OA agreement and terms by Wiley via e-mail and are directed to their Author Services dashboard, where they can select OA publication by ordering ‘OnlineOpen’. The Author Services system states that Wiley has a publishing agreement with the University of Vienna whereby the APCs will be covered. For OnlineOpen articles, Wiley checks the authors’ eligibility based on affiliation using Ringgold data. The Open Access Office has access to an online administrative dashboard with viewing rights. The University receives reports from Wiley on a monthly basis. These agreements combine subscription fees and the costs of OA publishing. In most cases a portion of the hybrid OA article processing charges (APCs) are deducted from the University’s subscription fees. However, the opposite scenario exists as well, where the payment of the subscription fees leads to a significant reduction in the APCs. Regardless of the method of offsetting, the standard APC has to be reduced by at least 80%. It should be noted that all current agreements offer an overall discount of at least 85% against the standard charge. The pioneering offsetting consortium agreement with the Institute of Physics (now IOP) Publishing was the first of its kind when launched in 2014 for articles funded by the FWF. The current consortium agreement (2017–2019) allows corresponding authors affiliated with the University to publish OA in hybrid journals. Workflow: This is currently carried out via e-mail. IOP asks authors whether they are interested in publishing OA. Once an article has been accepted, IOP gets in touch with the Open Access Office and asks for confirmation of the author’s eligibility. IOP is planning to introduce an automated workflow in the near future. Corresponding authors affiliated with the University of Vienna can publish OA in Taylor & Francis’ (T&F’s) hybrid journals within the framework of the agreement. Workflow: The University has a prepay account. Once their article has been accepted for publication, authors recognized by T&F as affiliated with the University of Vienna are made aware of the existing OA agreement. Simultaneously, the Open Access Office is informed of new articles on the dashboard and may proceed to perform eligibility checks and approval. Authors who decide on OA are then presented with a choice of Creative Commons licence after approval. Corresponding and ‘main’ authors affiliated with the University of Vienna can publish in SAGE Choice (hybrid) journals for a heavily discounted APC. Workflow: Once their article has been accepted for publication, authors need to get in touch with the Open Access Office, which then provides those authors with a promotional code. The authors will need to enter this code and the University’s reduced price on a PDF form issued by SAGE, and then return the form to SAGE. The Open Access Office settles the APC invoice. The University has a prepay membership offering a discounted APC rate for articles published in a BioMed Central, SpringerOpen or Chemistry Central journal. Workflow: Authors need to submit their manuscript using their institutional e-mail address and ideally from within the network (IP range) of the University of Vienna. The Open Access Office is then notified of articles accepted for publication, and can review the author’s eligibility. In contrast to other agreements, the publisher is only contacted if the author affiliation cannot be verified, and the article therefore not approved. A national framework agreement was launched in January 2018. Workflow: During submission authors need to select ‘University of Vienna’ as the funding institution. Frontiers will then inform the author about the possibility of publishing OA at no cost to them. The Open Access Office receives spreadsheets containing articles deemed eligible by Frontiers as they appear and confirms or denies APC payment accordingly. The University participates in the international SCOAP3 partnership. All accepted articles in the field of high energy physics are published OA in journals covered by the initiative at no cost to the author, regardless of affiliation. Workflow: Articles are made automatically OA without any intervention from the University. The University joined the Open Library of Humanities’ (OLH’s) Library Partnership Subsidy system in January 2018. All OLH publications are fully OA. Workflow: All accepted articles are published OA regardless of the author’s affiliation. There are no author-facing charges. If authors happened to read through the workflows described above, they might be forgiven for feeling slightly bewildered. The agreements differ in every possible way: how and when the authors are informed of the option to publish OA, the types of article covered by the various agreements and the selection of journals where they can make their article OA. While the research community’s perception and awareness of OA publishing has evolved in recent years, OA publishing is far from universally adopted and endorsed.26,27 At the same time, it is impossible for the University’s OA support staff to efficiently inform every single potential author about the intricacies of all the various systems. How and when to inform authors at the University? There are practical reasons that make it difficult for all authors to be informed about every option. Firstly, when authors submit an article to their preferred journal, it faces potential rejection, and the article might then be published in a journal of their second or third choosing, each of which might belong to a different publisher with a different set of conditions. While a well-informed author may have a good understanding of a particular publishing house’s OA policies, they might not be aware of the full range of opportunities offered by other publishing houses and special arrangements the University might have with them. Secondly, the sheer number of authors is overwhelming. The University employs over 6,000 researchers, and each year there are scores of new staff recruited from all over the world, all of whom would require a good grasp of the University’s ever-increasing OA publishing opportunities. Within this context, one of the crucial stages of any OA publishing workflow is the point where, their article having been accepted for publication, corresponding authors are invited by the publisher to confirm or provide further details about their paper and affiliations. As this is a mandatory step for every publishing (not just OA) workflow, it offers a unique opportunity to capture information supporting both the publisher’s and the University’s decision-making process on eligibility, and to convey a targeted message to authors about the opportunity to make their publication OA. Some publishers opted to incorporate this step at the submission stage. However, this does not change the underlying principles. In an ideal scenario, the authors affiliated with the University are successfully identified as eligible under the relevant agreement and are advised by the publisher accordingly. While publishers have approached this step in different ways, we have found that the most successful agreements to date have committed significant resources from the start, making the identification of eligible authors a priority. Interestingly, this does not necessarily require an automated system from the outset; an initial period of manual workflow might prove as effective, as long as there are dedicated personnel at the publisher’s end to identify eligible authors and to respond to queries as they arise, and OA support staff at the author’s institution. Another important part of this step is to convey the message that there are no costs to authors should they choose to make their article OA. We consider it problematic when authors are presented with wording that mentions ‘ordering’ or ‘invoicing’ or suchlike, as they may assume that they will need to pay for the APCs from their own or the University’s funds, thus leading them to decline publishing OA. Identifying eligible authors, and communicating to them the opportunity to publish OA, is a critical issue, in particular for the read and publish agreements which usually stipulate that the University pays the fees for accessing the content and for publishing OA upfront on an annual basis. In other words, there is a greater financial and, as a result, reputational risk to the institution if the publishing component of the agreement is not performing to its full potential. The lack of performance could derive from authors deciding to put their article behind a paywall, often due to misleading messages from publishers, or to not having passed the eligibility test for various reasons, despite their genuine affiliation with the institution. Poor design of this critical step may not be as financially damaging with offsetting agreements, as APCs are typically not prepaid. There is, however, a significant risk that both OA publishing and support for the country’s strategic goals will be impaired. Yet, despite the need for fine-tuning this step and understanding the reasons for opt-outs (where authors decline to publish OA), only one of the publishers has so far offered a mechanism to do so. 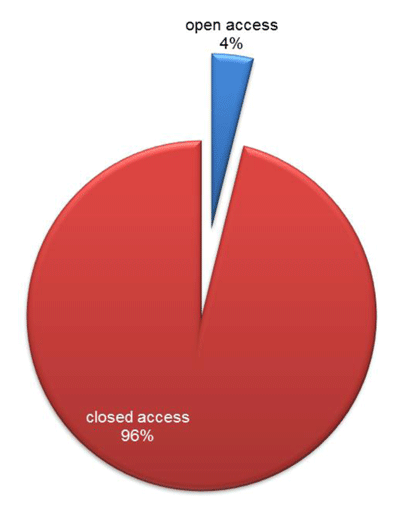 Figures 1 and 2 below illustrate the level of OA output in qualifying journals by corresponding authors affiliated with the University (including articles funded by the FWF) during the first year of two transformative agreements. The first publisher puts a strong focus on identifying eligible authors by using a number of techniques. In contrast with the first publisher, the second one does not currently offer a mechanism to identify eligible authors, leaving it entirely up to the authors to indicate potential eligibility. Initial analysis suggests that only a very small portion of articles was made OA according to the terms and conditions of the agreement. While we are unable to ascertain with complete accuracy the overall rate of OA articles based on the metadata available, the trend is unmistakably clear. While maximizing the University’s OA output is one of the most important features of a successful agreement, the administrative tasks performed by staff at the University also deserve closer attention. Indeed, concerns have been raised over the high staff costs associated with managing OA agreements.30 Notwithstanding the fact that an eventual ‘complete transition to a “pay-as-you-publish” model would eliminate staffing costs for the subscription model’,31 we maintain that for the foreseeable future a number of models will coexist, each necessitating a distinct set of administrative tasks. From our perspective, an attractive feature of a well-performing read and publish contract is the complete absence of APC invoices, which cannot be said of most offsetting and gold publishing arrangements. Some organizations may require a dedicated invoice for each APC, while others, such as the University of Vienna, prefer keeping the number of invoices to a minimum. The reasons for this are at least twofold. First, each invoice creates a paper trail with a number of hurdles to overcome before payment can be made. Second, some publishers are prone to follow up on each invoice with the corresponding author and the University, even before payments are due, causing unnecessary confusion and potentially discouraging researchers from choosing this path in the future. In general, reporting requirements and internal finance processes may influence each institution’s preference, and we believe that this is an area wherein publishers should offer flexibility to accommodate the community’s diverse needs. Another aspect of OA workflows that requires careful consideration and flexibility is automation and its sole reliance on metadata. We see more and more publishers offering automated workflows, which, by and large, is a welcome development. However, in some cases the dual eligibility check, where both the publisher and the University screen the authors, is replaced with a one-step review. This one-step check, based on metadata provided by the author, may prove problematic where there is a cap on the total number of articles covered by the agreement, or in a truly pay-as-you-publish model, where it is absolutely necessary that the Open Access Office has the ability to approve bona fide corresponding authors only. Establishing robust metadata with online identifier tools such as Ringgold is of strategic importance, also from a reporting perspective. However, at the moment, these data providers are far from being in a position to offer an infallible solution. Within this context, it is important to emphasize the role of funding bodies and the lack of support from publishers when it comes to workflows. The FWF, the country’s most important funding body for basic research, has been instrumental in establishing OA in Austria by setting strict policies for its grant holders32 and by providing the means to comply with them. Between 2013 and 2016 alone, the FWF invested over €9 million in APCs.33 For auditing and other purposes, the FWF must be able to trace FWF-funded OA publications that are part of OA agreements. However, to date this has proved very difficult to accomplish. Although it has been proposed to publishers that they could extract the grant ID metadata from the acknowledgements to identify FWF-funded articles and to achieve a more seamless workflow, this has not as yet been implemented by the vast majority of publishers. The negotiations preceding OA publishing agreements are very rarely straightforward. Several factors may feed into the final outcome, such as previous subscription and APC spend, historic research output by the participants’ researchers, and the general terms and conditions of the licence agreement. As if these were not challenging enough, the negotiations often take place in a politically charged environment, and against the backdrop of the often ostensibly opposing goals of the publisher and the University. We have learnt the hard way that for an agreement to be successful, workflows must also take centre stage, and discussions should be initiated at the very early stages of negotiations. It has proved essential to establish direct communication not only with the publisher’s sales team, but also with staff responsible for the delivery of the OA workflows. Ideally, a live demo should be arranged, where the University’s relevant staff, such as researchers and Open Access Office staff, can road-test each step that corresponding authors need to take as they navigate through the publication process. Failing that, the publisher could provide detailed screenshots of the process. Either way, this would provide an opportunity to flag potential issues and to consider a way forward. It is also very important to be able to assess the various forms of communication going out to authors, such as the wording of e-mails, pop-ups, or web pages to which publishers might direct authors. While it may seem to be delving into the minutiae of practical steps, small things can make a very big difference. For example, some publishers, taking on board our feedback, may prioritize author identification and decide to present authors with a drop-down menu of institutions, adding ‘KEMÖ’ as a prefix to the institutions participating in the agreement negotiated by the Austrian Academic Consortium, also known as KEMÖ. Unsurprisingly, this could cause confusion and would need to be amended to something with which researchers are more familiar. As mentioned earlier, some of the agreements carry significant financial and reputational risks. Although publishers may initially resist such initiatives, consortia should not shy away from requesting more comprehensive changes to the workflows if these are clearly required for the success of the agreement. In a similar vein, since such a large part of the success of OA publishing agreements hinges upon the workflows, libraries should also consider introducing elements in the negotiations that incentivize the publishers to ensure that they perform as expected. We have started exploring performance-related payments, where a portion of the fees payable to the publisher is contingent on the successful delivery of a set of targets, such as an agreed rate of identification of eligible authors. On a related note, contracts that are consistently underperforming due to underlying workflow issues are unlikely to be renewed. OA publishing agreements have the potential to significantly increase the OA publication output of participating institutions, and thus to contribute to the transition to OA. A successful outcome, however, is largely dependent upon the thoughtful development and implementation of workflows. While all stakeholders play an important part in this process, the main responsibility lies with publishers, who need to rethink their existing workflows and integrate OA publishing into their systems. Trying to build an OA workflow by adjusting current subscription-based methods will not yield satisfactory results. OA publishing systems need to focus on the (corresponding) author, both by optimizing the methods of identification of those eligible, and by informing authors efficiently through the relevant stages of the article submission process. The University of Vienna and the wider library community, as demonstrated through initiatives such as ESAC, are keen to work with publishers on finding solutions to these and other issues. We also strongly encourage negotiators representing universities to hold firm and insist on realistic workflows. A list of the abbreviations and acronyms used in this and other Insights articles can be accessed here – click on the URL below and then select the ‘Abbreviations and Acronyms’ link at the top of the page it directs you to: http://www.uksg.org/publications#aa. OANA: Recommendations for the Transition to Open access in Austria (Version 2), 2016: https://zenodo.org/record/51799#.WoVy8K7iaUk (accessed 3 May 2018). AT2OA: http://at2oa.at/home.html (accessed 3 May 2018). National Library of Sweden. Evaluation of the Swedish Springer Compact agreement, 2018: http://openaccess.blogg.kb.se/files/2018/02/Evaluation_of_offset_agreements_SC_Report_3.pdf (accessed 3 May 2018). Monitoring the transition to open access: December 2017, 2017: http://www.universitiesuk.ac.uk/policy-and-analysis/reports/Documents/2017/monitoring-transition-open-access-2017.pdf (accessed 3 May 2018). Gumpenberger C, Hölbling L and Gorraiz JI, On the Issues of a ‘Corresponding Author’ Field-Based Monitoring Approach for Gold Open Access Publications and Derivative Cost Calculations, Frontiers in Research Metrics and Analytics, 2018, 3, 1; DOI: https://doi.org/10.3389/frma.2018.00001 (accessed 3 May 2018). Sikora A and Geschuhn K, Management of article processing charges: challenges for libraries, Insights, 2015, 28(2), 87–92; DOI: https://doi.org/10.1629/uksg.229 (accessed 3 May 2018). Geschuhn K and Stone G, It’s the workflows, stupid! What is required to make ‘offsetting’ work for the open access transition, Insights, 2017, 30(3), 103–114; DOI: https://doi.org/10.1629/uksg.391 (accessed 3 May 2018). UKB Working Group Implementation Work Processes Open Access, Checklist Big Deals and Open Access clauses: towards negotiations and establishing work processes: http://esac-initiative.org/wp-content/uploads/2017/03/07_OA-work-processes-Netherlands-Checklist-3th-March-2017-2.pdf (accessed 3 May 2018). Jisc Collections and Open Access. OA Publisher Compliance: Jisc – UKSG OA Best Practice Group: https://www.jisc-collections.ac.uk/Files/aboutus/Supporting%20transition%20to%20OA/JiscCollectionsAndOpenAccessTable1.pdf (accessed 3 May 2018). Jisc Publications Router: https://pubrouter.jisc.ac.uk/ (accessed 8 May 2018). Efficiency and Standards for Article Charges (ESAC): http://esac-initiative.org/ (accessed 12 March 2018). Customer recommendations for article workflows and services for offsetting/open access transformation agreements [first draft], ESAC, 2017: http://esac-initiative.org/wp-content/uploads/2017/04/ESAC_workflow_recommendations_1st_draft20march2017.pdf (accessed 3 May 2018). Verzeichnis der Wissensbilanz-Kennzahlen 2016 (2017), http://www.univie.ac.at/fileadmin/user_upload/startseite/Dokumente/LB_2016_Tabellenteil.pdf (accessed 3 May 2018). Open access agreements in Austria, Austrian Academic Library Consortium: https://www.konsortien.at/openaccess-en.asp (accessed 3 May 2018). Open access at the University of Vienna, Open access publishing agreements: http://openaccess.univie.ac.at/en/funding/oa-publishing-agreements/ (accessed 3 May 2018). (Royal Society of Chemistry) Read & Publish institutional agreements: http://www.rsc.org/journals-books-databases/open-access/ (accessed 3 May 2018). Emerald Publishing Open Access Partnerships: http://emeraldgrouppublishing.com/openaccess/oapartnerships.htm?id=oapartnerships&fwd=fwd (accessed 3 May 2018). Springer Open access agreement for Austrian authors: https://www.springer.com/gp/open-access/springer-open-choice/springer-compact/agreements-austrian-authors (accessed 3 May 2018). Wiley Open access agreement with the Austrian Academic Library Consortium (KEMÖ): https://authorservices.wiley.com/author-resources/Journal-Authors/licensing-open-access/open-access/kemo-agreement.html (accessed 3 May 2018). Institute of Physics Publishing Support – Open access for Austria: https://publishingsupport.iopscience.iop.org/questions/open-access-for-austria/ (accessed 3 May 2018). Author Services supporting Taylor & Francis authors: https://authorservices.taylorandfrancis.com/oa-agreements/ (accessed 3 May 2018). Infoseite zum Open-Access-Publizieren bei SAGE, KEMÖ: https://www.konsortien.at/sage-oa-austria.asp (accessed 3 May 2018). Springer Open, Universitaet Wien: https://www.springeropen.com/about/institutional-support/membership/1600001224 (accessed 3 May 2018). Frontiers forms open access publishing agreement with the University of Vienna: https://blog.frontiersin.org/2018/01/04/frontiers-forms-publishing-agreement-with-the-university-of-vienna/ (accessed 8 May 2018). Eve M P, University of Vienna joins OLH LPS system, OLH: https://www.openlibhums.org/news/269/ (accessed 3 May 2018). Rowley J, Johnson F, Sbaffi L, Frass W and Devine E, Academics’ behaviors and attitudes towards open access publishing in scholarly journals, Journal of the Association for Information Science and Technology, 2017, 68, 1201–1211; DOI: https://doi.org/10.1002/asi.23710 (accessed 3 May 2018). 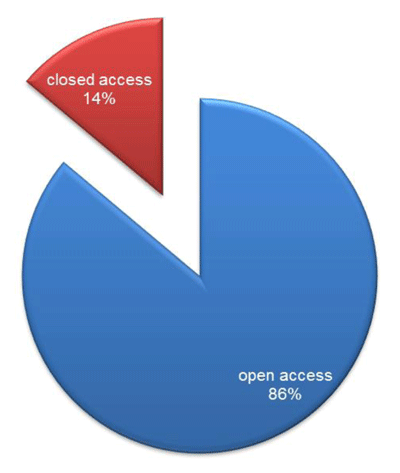 Zhu Y, Who support open access publishing? Gender, discipline, seniority and other factors associated with academics’ OA practice, Scientometrics, 2017, 111, 557: DOI: https://doi.org/10.1007/s11192-017-2316-z (accessed 3 May 2018). University of Vienna’s Open access website: https://openaccess.univie.ac.at/en/ (accessed 3 May 2018). Hartley J and Cabanac G, The delights, discomforts, and downright furies of the manuscript submission process, Learned Publishing, 2017, 30, 167–172; DOI: https://doi.org/10.1002/leap.1092 (accessed 3 May 2018). Manista F, Off-Setting Workshops: Helping Universities Get the Most from the Deals, Jisc, 2016: https://scholarlycommunications.jiscinvolve.org/wp/2016/08/05/jisc-off-setting-workshops-helping-universities-get-the-most-from-the-deals/ (accessed 3 May 2018). Geschuhn K and Stone G, ref. 7. Open Access Policy for FWF-funded projects: https://www.fwf.ac.at/en/research-funding/open-access-policy/ (accessed 3 May 2018). Open APC FWF – Austrian Science Fund: https://treemaps.intact-project.org/apcdata/fwf/ (Accessed 3 May 2018).